Ah tea! The most favourite of British past times. I'll admit I'm a tea fan, and was raised on the stuff. I have fond memories of being snuggled in bed in the morning drinking a 'little cup of tea' which was just the last mouthful or two of my mums cup of tea, when I was a little one. This end of the tea was super sweet and sugary and I loved it. As I got older my tea habit grew as did my sugar consumption. It was scary how much sugar I had in my tea. Then I started getting wise and reducing and then cutting out sugar from my tea. Next came exploring herbal teas and now at the final height of tea love comes the organic teas! And my go to choice for organic tea is always Pukka. I first tried Pukka when I got samples in health boxes and they were a brill introduction. 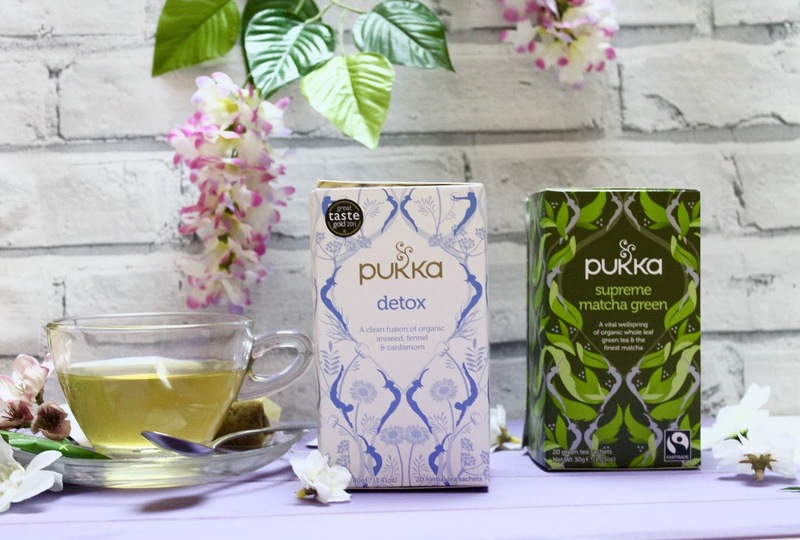 Now my two go-tos at the moment are Pukka Supreme Matcha Green and Pukka Detox. I choose the Detox tea, not for it's cleansing properties as I'm not overly into the whole 'detox' thing, but because it tastes like a lightly flavoured bobbly sweet from allsorts (you know the pink and blue bobbly ones) a little bit of aniseed and fennel. Delicious. The Matcha tea gives me an amazing boost when I'm feeling drowsy but doesn't give me the shakes like coffee does. Why Pukka? Because I think they are one of the best organic tea brands available, they leave no little detail untouched. They are Soil Association and USDA certified, and when they say they are organic and GM free they mean more than just with the plants and herbs that they use. Even the cotton used to make the teabag string is organic! 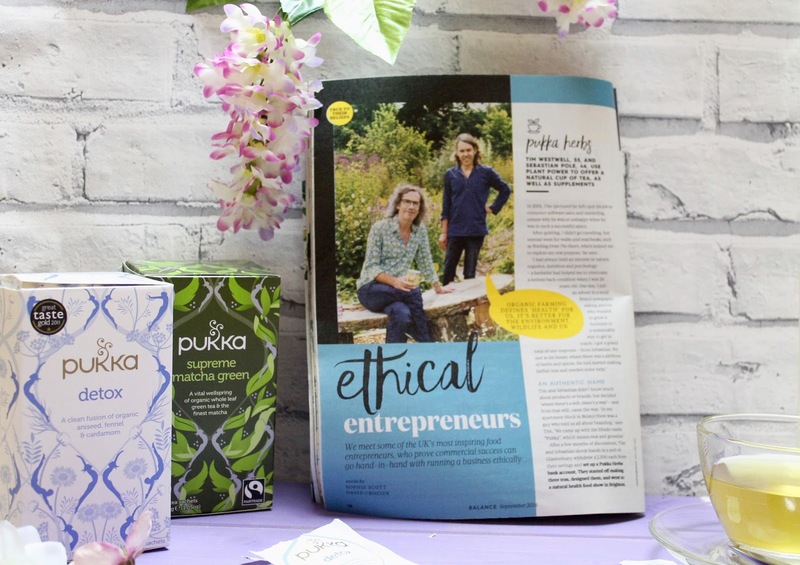 Pukka teas are also made with sustainably grown herbs and plant ingredients and the company are part of the FairWild scheme which guarantees sustainable growing and harvesting methods as well as being fair to the workers with fair pay and working conditions etc. Going forward Pukka are also working towards having all their teas certified as 'Fair' by the Fair For Life scheme. Many of their teas are already certified FairTrade. The boxes are also made from FSC renewable wood sources and full recyclable. The ink used on the packaging is also non toxic vegetable ink. 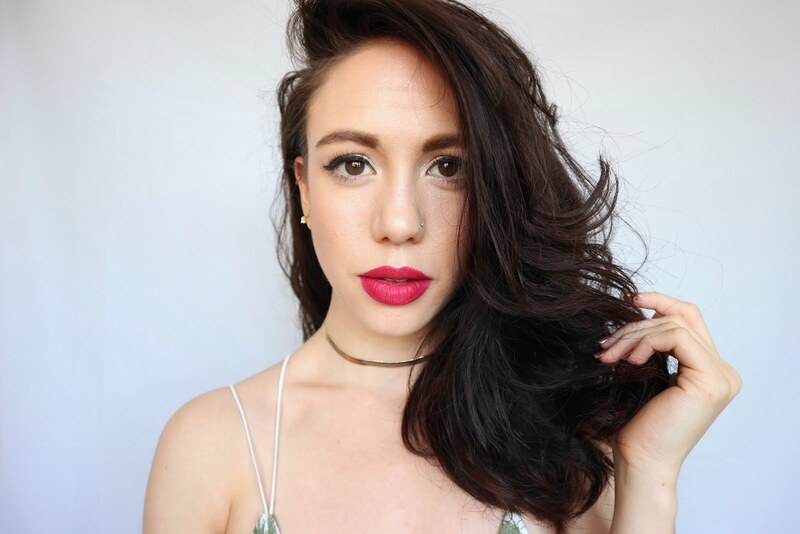 100% cruelty free- no animal testing. Did you know...? 'Pukka' means 'real' in Hindi. And we often use the term to mean 'good' or 'perfect'. Jamie Oliver loves using the term! You can see why the founders chose it can't you? If you want more info on Pukka you need to check out their website as it is literally overflowing with amazing information everywhere you look. They are so passionate and involve din every aspect it's really inspiring! If you are London based then also try to grab a copy of Balance magazine - I couldn't believe it when I saw the article on Pukka in there. I had to re-setup my photo background to include snap of the magazine in this blog post too! Go organic with your whole tea routine and make sure you also choose organic milk if you use it and also opt for Fair Trade Organic sugar ( try Equal Exchange Raw Cane sugar!) if you can.